This article was shockingly very accepted as investigative journalism, despite the fact that they never completed any of their investigation, never got any answers. All they did was raise more questions, incriminating Yonghong Li by suspicion rather than facts. One of the most damning statements was from Sui-Lee Wee in regards to due diligence: “I ask myself who did due diligence on Mr Li’s companies – assuming they even did!” For the answer to that, all she had to do was check out Mattino Cinque in February when another journalistic witch hunt regarding Yonghong Li’s solvency was happening. Adriano Galliani reminded everyone of exactly who did due diligence: “First of all, he presented the credentials to the Lega Calcio and was approved. Secondly, the Elliott fund loaned Mr Li over €300m, so they must’ve made their own evaluations. Finally, over the summer a transfer campaign worth €200m was completed, giving all the necessary financial guarantees and bank bonds that the Italian rules demand.” After the club purchase last April, many of the same agencies that are now questioning who did due diligence actually reported that Milan, the Lega Serie A, and the FIGC all did due diligence, and traced all of the payments to the source, etc. I guess it’s like a mass outbreak of journalistic amnesia. They even forgot their own reports. Yes, this actually happened. And this is the article everyone talks about now about Yonghong Li, too. Going back to the RAI 3 people, though. Not only did they take the question of Milan’s owner to heart, they are going back to questioning where the money came from. Even though that was also resolved and widely reported last year with the due diligence. “Nobody knows who the real owner of Milan is. It’s a fact that the Milanese authorities have opened an investigation after receiving a tip-off from the Banca d’Italia to find out where this money has come from.” Yes, an investigation of where, not who. No criminal charges being made, no money laundering accusations, no one accusing Berlusconi of selling the club but not selling it, etc. But did that stop them? No! Suddenly, that Berlusconi & Galliani, having been in politics and football for over 30 years now, actually knowing people who still have ties to Milan is shocking. Berlusconi said after losing a lot of votes that he would like to buy Milan back, because he got more votes when he owned the club. Scandalous! He never said anything tying his ownership to elections before… oh, wait, he did. All the time. Even his son has already come out and called the accusations “a joke.” There are “anomalies” in the fact that during the sale, Berlusconi mentioned that some people would likely continue on the board to give Milan continuity. In fact, RAI 3 probably reported that back then, too. But now it’s shocking. Scandalous. And an anomaly. And perhaps a serious case of journalistic amnesia. No way the guy in the middle drops €200m+ in one transfer window. No way. But the biggest question I have is who the hell is Yonghong Li? He’s lived his life largely in the shadows, his source of income is largely unclear, and he has failed to disclose transactions in the past and been penalized for it. He has never been forthcoming about any of the important details of this deal, like who his investors were and where his wealth comes from. And he has still not even been able to close this deal. His reasons for the nearly eleven month ordeal are ever changing, and he has lost the faith of most of the fans by not being engaged in the club, the deal, or offering any transparency. 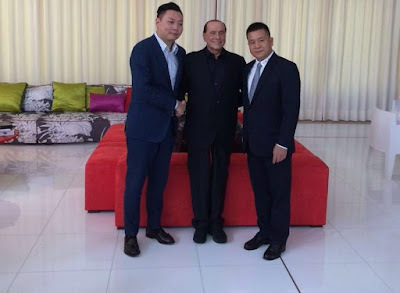 Most telling was his losing Paolo Maldini, who could not get behind the organizational structure they had planned, and was refused the opportunity to meet either Han Li or Yonghong Li or any of the other mystery investors to see what their vision was. 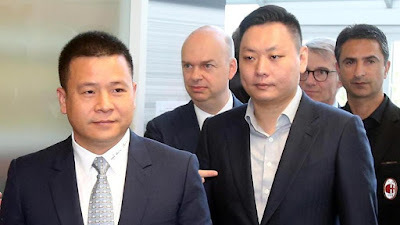 The most we know about Yonghong Li is that over eleven months’ time, he has cost Milan two transfer markets, rendered us completely helpless to rebuild in any way, and made the club the laughing stock of the whole world. Well that, and he has shady business friends. If these journalists were worth half a click, they would have also asked those questions back then. But they didn’t. And now they are hell bent on destroying Milan’s image and name brand instead, at a time when Milan needs it most. In fact, it was this scaremongering style of journalism that likely inspired UEFA’s “uncertainties,” and refusal of a settlement agreement. Once they got on board the scare train, the press really went wild. And everyone seems to want to discredit Yonghong Li and Milan for sport. Which means the journalists’ incompetence and lack of integrity are eroding at the value of our club, while they get more clicks. But if they want to demonize someone, accuse the FIGC, the Lega Serie A, Fininvest and Berlusconi for all failing to complete due diligence on a deal that took eleven months to finalize. Eleven months and no one thought to ask where this man got his money? That’s on them. But don’t expect transparency or facts from the journalists. You can’t even trust them to remember what their own agencies reported just over a year ago. Instead, be intelligent and go back and read what they said back then. It’s what the news won’t tell you.